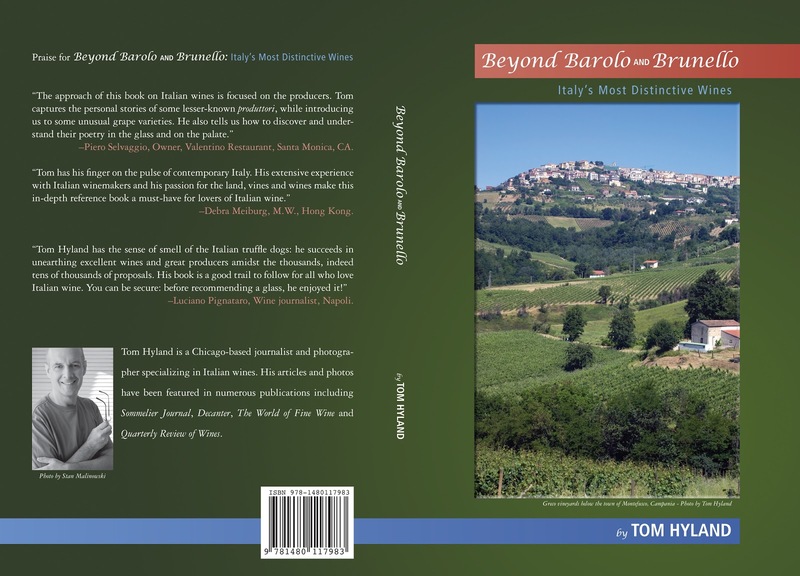 My first book on Italian wines, Beyond Barolo and Brunello: Italy's Most Distinctive Wines has been available for just a little more than two weeks and sales are good, for which I'm thankful. I'm also appreciative of some special individuals I've known for a few years who have written some wonderful things about my book. "The approach of this book on Italian wine is focused on the producers. Tom captivates the personal stories of some lesser-known produttori, while introducing us to some unusual grape varieties. He also tells us how to discover and understand their poetry in the glass and on the palate." - Piero Selvaggio, Owner, Valentino Restaurant, Santa Monica, CA. "Each wine listing describes in detail several specifics about the wine, not only the aromas and flavours, but also the style of the wine as sought by the producer. More than just a technical approach to the Italian wine industry and the specific regions, he has taken an engaging look into the individual producers as they carry out the work of their previous ancestors of creating a product that reflects the terroir and a sense of place..."
Hopefully, there will be more praise along the way for my book - I'll be sure to share it! Here is the link for ordering the book.